When you look at your teeth in the mirror, what comes to mind? If you think anything over than happy thoughts, you may want to consider having a cosmetic restorative procedure done to correct your smile. Cosmetic restoration is a process where your teeth and smile can be restored to provide you with a beautiful smile that you can’t wait to show off. Access Dental Care is dedicated to providing you with the best cosmetic care throughout the entire area and Dr. Song will work alongside of you to ensure you are happy with the chosen treatment plan. Dr. Song is highly skilled and trained in dental cosmetic procedures, so you can rest assured that your smile will look amazing. If you are interested in discussing one of our cosmetic procedures, contact our office today to schedule your appointment. When it comes to cosmetic restoration procedures, Access Dental Care offers a couple of different options for you to choose from. The best option for you will depend on your current oral health and the results you want to achieve. When it comes time to have a procedure performed, you should weigh all options and work closely with Dr. Song to ensure the best choice is made for your needs. Below, we will discuss some of the procedures available in our office. Veneers are a common dental procedure choice and many patients prefer them because they do offer a lot of versatility and they mimic natural teeth. Dr. Song specializes in porcelain veneers, which are made from porcelain material and are thin in size. Veneers are placed over top of your tooth once the tooth is prepared for placement. 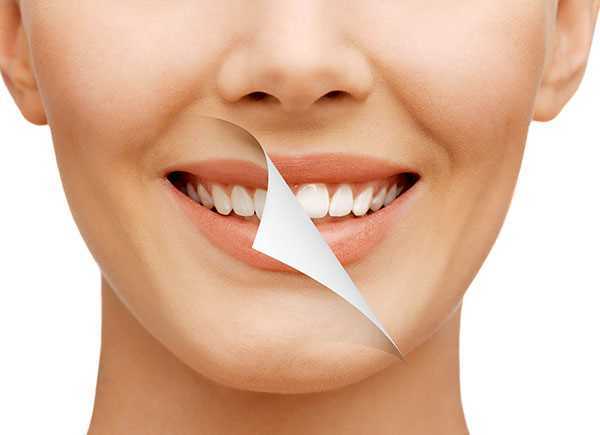 Once in place, the veneer will provide you with a smooth tooth surface. Many patients enjoy veneers because they help preserve your tooth while offering a beautiful look that is free from any flaws. When it comes to veneers, they are usually placed only on the front teeth, as they will not hold up as well in the back. Other options are available for your other teeth. When you come in for a veneer consultation, Dr. Song will look over your teeth and determine if you are a good candidate. If you are, your teeth will be prepared for veneer placement. To prepare the tooth, Dr. Song will remove some of the enamel from your tooth, which makes room for the actual veneer. After your tooth is prepared, an impression will be taken of the tooth and sent to the lab to be made. Once the veneer comes back, you will come back in for another appointment and the veneer will be cemented in place. If you are interested in discussing whether or not you would make a good candidate for veneers, please call Access Dental Care today. Access Dental Care is proud to be able to offer dental crowns in our office. Crowns are used to cover and protect teeth while also restoring them to a natural look, shape, and feel. Many patients find that they need crowns when a tooth has been damaged or broken. You are likely to know what a crown is based on its silver color and this makes them a prominent dental feature. In today’s world, crowns are no longer silver and they are tooth colored to provide you with a natural look. The crown sits on the gum line in your mouth and completely covers the tooth it is meant for. This allows for protection of the tooth from any further damage or decay. Crowns are permanent, but a temporary may be placed in your mouth and then replaced with a permanent crown later on down the road. If you are interested in having a crown placed in your mouth, contact Dr. Song today. He will sit down with you and go over the procedure in detail and ensure that you are a good candidate to have dental crowns. Before any cosmetic restoration procedure will be performed, you must have a dental consultation with Dr. Song. During your consultation, Dr. Song will take x-rays and check all of your teeth. He will identify which teeth need to be restored and which procedure is best for restoration. It is not uncommon to find that you have multiple procedures done to ensure a beautiful smile. Also, please note that if you have any current dental conditions, they will need to be treated BEFORE any cosmetic procedures are done. For example, if you have tooth decay, a filling will need to be placed before a crown or veneer can go over the tooth. Dr. Song is dedicated to providing you with the most thorough and accurate information about your teeth and the procedure. You should come prepared with any questions you may have, so that Dr. Song can answer them for you. If you think that you are in need of dental care or you would like to discuss one of our cosmetic restoration procedures with Dr. Song, call our office today to schedule your appointment. We can’t wait to see you leave our office smiling from ear to ear. On a final note, please make sure that you have routine dental appointments scheduled to keep your teeth and gums healthy!